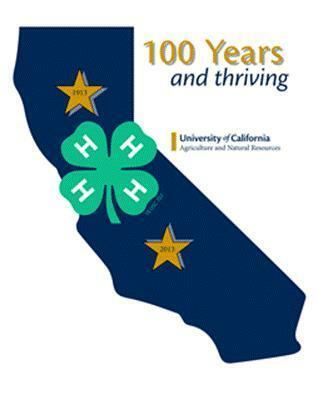 4-H is a program of the University of California Cooperative Extension (UCCE) which is a collaboration between Federal, State, and County governments. Each County maintains a Cooperative Extension office with 4-H staff who conduct research and extend knowledge in their areas of expertise. The 4-H youth development staff work with volunteers to deliver the 4-H program in our county. Developing skills that benefit youth through out life. Fostering leadership and volunteerism in youth and adults. Building partnerships for programming and funding. Using research-based knowledge from the land-grant university system. The 4-H program purpose is achieved through the development and support of leadership teams of staff, volunteers, youth, and others who organize and conduct educational project experiences in community and family settings. Here is the March/April 4-H Spirit Newsletter. Check out the upcoming events. Here is the January/February 4-H Spirit full of information on 4-H upcoming events in January and February and entries for Presentation/FavoriteFoods/Judging day and lots more. Here is the December newsletter which is full of information- new enrollment deadline-Dec. 15, Club officer training, Christmas caroling and party, and more. Here is the November Spirit for your reading. Learn about the Rigatoni Dinner, Achievement Night, Central Youth Summit and more! Here is the first issue of the 2018-19 program year. Inside is about Color Me Green Run/Walk, Rigatoni dinner, 4-H enrollment information and more. Enjoy the September 4-H Spirit! It is full of news about upcoming activities, National 4-H Week and more. Here is the August 4-H Spirit newsletter. Inside information includes Fair Judging Competition, info for on-line financial for clubs and council, photos of Camp Tweety, Ironstone Concours d'Elegance news and more. Don't forget to turn in your fair entries!!!! Important news in this newsletter about fair, 2019 Central Youth Summit, Ironstone Concours d'Elegance club and council on-line financial input, Mariposa 4-H Council's BBQ tri-tip dinner slated for July 15 and more. Here is the May 2018 4-H Spirit. Inside you will find information on Fashion Revue winners, Mechanical Field Day in Merced, and lots more. Attached is the April 4-H Spirit. Inside issue are fliers for the following events- MS Bike-a-thon, Bootjack 49ers Club dinner, Junior Livestock day, Record Book workshop, Range Camp. Also information on Camp Tweety, winners of Presentation & Favorite Foods Day, Judging Day and the upcoming Fashion Revue/Style Show. Here is the March 2018 newsletter full of information on upcoming events. Here is the February 2018 newsletter. Inside is Mariposa Fair Animal ownership, birth dates, Presentation/Favorite Foods/Judging Day information, State 4-H News, Camp Fundraiser, and more! Here is the January 2018 '4-H Spirit' newsletter full of information on our Winter Fun Day, Presentation/Favorite Foods/4-H Creed day, 4-H judging, and more. Happy Holidays and have a safe New Years!!! Here is the December 4-H Spirit with lots of news- Carcass Contest Winners, club reports, New SPIN club and more. Here is the November 2017 4-H Spirit. Inside you will find the CDFA Guidelines for Fairs for all members and leaders to read, Achievement Night winners, and more. JUST A REMINDER IF YOU HAVEN'T ENROLLED FOR THE 2017-18 PROGRAM YEAR, DEADLINE IS NOVEMBER 1ST FOR RETURNING MEMBERS AND DECEMBER 15 FOR NEW MEMBERS. The New Program Year Begins October 1 !!! Enjoy reading the October 4-H Spirit. It is full of upcoming activities which are local and within the state. Look to see what is happening in 4-H, local and state-wide. Enjoy reading the August 2017 4-H Spirit. Here is the July 4-H Spirit to read. There are some upcoming activities in July and new news. Enjoy! Here is the June 4-H Spirit. Included in this Spirit is information on the upcoming Primary Summer Day Camp for K-3rd graders, fair news, nomination page for 4-H Council officers, and more. Here is the May 4-H Spirit to enjoy! Information on the beef carcass contest, Fashion Revue results, Ironstone Concours information, fair entry dates and more. Here is the April 4-H Spirit with lots of information on upcoming events and activities. Come and enjoy the fun! Here is the March issue of the 4-H Spirit which is full of information on upcoming events and activities. If you plan on entering Presentation/Favorite Foods Day please get your entry into the office by Friday, March 3. Entries available online at http://cemariposa.ucanr.edu/?calitem=351006&g=37458 or at the office. Here is the February 4-H Spirit with lots of 4-H information, Judging Day winners, Winter Fun Day-Ice skating, Equine Field Day info, and Horse Classic. Here is the January 2017 4-H Spirit which includes information about Judging Day slated for January 7, Presentation/Favoritefoods/4-H Creed Day information and entries, 4-H Camp Tweety and lots more. Happy Holidays and a Prosperous 2017 year!! Here is the current 4-H Spirit for your reading! Information on Judging Day, Presentation/Favorite Foods Day, upcoming events. State 4-H news and more. Here is the November issue of the 4-H Spirit- included are the 2nd Annual Field of Service, Achievement Night winners, 2017 Camp Tweety and more. Remember to turn your clocks back the first weekend of November. Enjoy the new 4-H Spirit newsletter. Enclosed information on Hornitos 4-H Club Fundraiser, Rigatoni Dinner/dessert silent auction, State 4-H News, and more. Here is the new September 2016 4-H Spirit. Inside you will find information on 2017 LCORT, PDR Corner, Goat Education Day, Ironstone Concours d'Elegance and more!!! Here is the August 4-H Spirit! New 4-H Fair rules and Project completion information, club on-line and peer review information, photos of Camp Tweety and Primary Day, ans State 4-H news in this issue. Enjoy! Here is the July 4-H Spirit. Enjoy your reading. Donna, 4-H Staff, will be on vacation from July 4-22. June 4-H Spirit is here with lots of information on upcoming events including Primary Summer Day Camp, 4-H Summer Fun Day and more. Enjoy! Lots of news in the May 4-H Spirit, so enjoy your reading! Here is the April issue of the 4-H Spirit which is full of information about Camp Tweety, Fashion Revue/Style Show,Teen Night, Presentation Day Results, California Focus and more. Here is the March 4-H Spirit which is full of 4-H information and upcoming activities. Here is the current 4-H Spirit which includes information on 4-H Winter Fun Day, Camp Tweety fundraiser, Presentation/FavoriteFoods/4-H Creed Day, Pancake Breakfast fundraiser, Judging Day results, and lots more. Well here is the January 2016 4-H Spirit full of information on upcoming events and 4-H Council's pancake breakfast. Upcoming events are Judging Day, Presentation/FavoriteFoods/4-HCreed day with entry forms. Happy New Year and enjoy the 2015-16 4-H year!!! Lots of 4-H news in this current issue so enjoy your reading! We wish you a great Thanksgiving!!!! Here is the newest issue of the 4-H Spirit. In this issue is information on the upcoming Achievement Night, project list, Rigatoni Dinner, Clover Pioneer 4-H Club fundraiser, State 4-H news and more. Lots of news in the 4-H Spirit- LCORT info, Veteran's Day Tribute, Clover Pioneers 4-H Club fundraiser, Ironstone Concours d'Elegance Vintage Car Show, Rigatoni Dinner, and lots more! Here is the latest 4-H news. Please read and enjoy! Here is the July 4-H Spirit full of information including some upcoming events in July and August. Here is the June 4-H Spirit to enjoy reading. Look what activities are coming up! Here is the May issue of the 4-H Spirit. See the information on upcoming activities. Here is the April issue of the 4-H Spirit. There is lots of information on upcoming 4-H activities, Presentation Day results, and lots more. Have a great spring vacation and be safe!! Here is the newest issue of the 4-H Spirit. This issue has lots of information about our upcoming Presentation/FavoriteFoods/4-H Creed Day, Fashion Revue/Style Show, 4-H scholarships, State Leadership Conference and more. Here is the current 4-H Spirit with information our upcoming Pancake Breakfast, 4-H Camp fundraiser at Castillo's Mexican Restaurant, Winter Fun Day and more. Enjoy the newest 4-H Spirit! Information on the upcoming 4-H Judging Day, Junior/Teen Leader Training, Pancake Breakfast, and Presentation Day are especially important to read. There is also State-wide 4-H information. Welcome new readers! The December 4-H Spirit has information about LCORT registration deadline, county, regional and state 4-H events, CA and Washington Focus and more. Enjoy! Enjoy the November 4-H Spirit with information on the Rigatoni Dinner, Achievement Night County winners, and more! Here is the current 4-H Spirit for you to read. Inside is information about National 4-H Week, 2014-15 projects, Clover Pioneers 4-H meeting date change for October and more! Enjoy the September 4-H Spirit! Information on the following is included: Ironstone Concours d'Elegance, 4-H projects for 2014-15, 4-H news, National 4-H Week, and more! Hope you are enjoying your summer! Attached is the August 4-H Spirit with information about fair, Ironstone Concours d'Elelgance, photos of Teen Night and Camp Tweety and lots more. Here is the current 4-H Spirit. Enjoy!! Enjoy the current 4-H Spirit. Information on the upcoming Teen Night, results of Fashion Revue and more inside. Here is the new issue of the 4-H Spirit which includes information on Teen Night, Camp Tweety, UCCE 100th year Celebration on May 8, and lots more. Here is your current 4-H Spirit full of information on upcoming activities, volunteer leader thank you, Camp Tweety info, and more. Here is the March issue of the 4-H Spirit. There are several upcoming local activities such as ice skating, Presentation/Favorite/4-H Creed Day with entries due by March 7 and more. Enjoy the February issue of the 4-H Spirit. Information on County Presentation Day, State-wide Camping Conference, 4-H Judging Day winners, Regional Presentation Day and more. Here is the newest issue of the 4-H Spirit with lots of information on 4-H Judging Day, Pancake Breakfast, Presentation/Favorite Foods/4-H Creed day, State 4-H News and more! Here is the current issue of the 4-H Spirit. Information on California & Washington Focus, Club & project news, and the State 4-H Camping Conference. Enjoy your November issue of the 4-H Spirit! Full of information about LCORT, Achievement Night winners, 4-H Record Book information, and upcoming events. Here is the October 4-H Spirit. 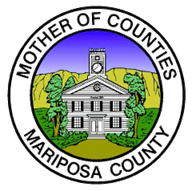 It is full of information on upcoming 4-H events in and around Mariposa County. Here is a corrected copy of the September 4-H Spirit. Here is the newest issue of the 4-H Spirit! Inside is information about a FREE Project Learning Tree workshop, club officer training, leader award nomination, Ironstone Concours d'Elegance registration form and more! Here is the current 4-H Spirit. Information on enrollment, county fun day, State news and more inside. Enjoy! Happy 4th of July! Have a safe holiday! Enjoy the June issue of the 4-H Spirit! Information on upcoming activities plus Mariposa Fair information inside. Inside this issue is information on Teen Night, Mariposa County Fair, Memorial Day Parade, Beef Carcass Contest and more! Here is the April issue of the 4-H Spirit. Read about Teen Night, Presentation Day results, MS Bike-a-thon, Fashion Revue/Style Show with Favorite Foods Day. Here is the March 4-H Spirit with lots to read about upcoming activities local and state-wide. Enjoy! Enjoy the February issue of the 4-H Spirit. Pancake Breakfast Fundraiser, Livestock dates for 2013 Mariposa Fair, Presentation/Favorite Foods/4-H Creed Day, Winter County Fun day, Junior/Teen Leader training and more. Livestock dates for 2013 Mariposa Fair, Presentation/Favorite Foods/4-H Creed Day, Winter County Fun day, Junior/Teen Leader training and more. Here is the January 2013 4-H Spirit. Inside this issue is information on 4-H Judging Day, the upcoming Pancake Breakfast, Presentation/Favorite Foods/4-H Creed Day information and entries, meet our New Leadership Team, State 4-H News, 4-H Camp Tweety, and more. Here is the current issue of the 4-H Spirit. Read about 4-H Judging Day & Table Setting and Embellished apron competition in January & other upcoming events, California & Washington,D.C. Focus, and more 4-H news. Enjoy the November 2012 issue of the 4-H Spirit. Information on LCORT 2013, projects, PDR corner, State 4-H News, and more in this issue. Happy Thanksgiving to all of our 4-H families and friends! Here is the October newsletter with information on 4-H Achievement Night, LCORT, current projects and more! Remember the deadline for 4-H re-enrollment is Monday, October 1 or postmarked by October 1. New enrollment deadline is November 1. Well the end of the 2011-12 4-H year! Inside this Spirit has record book information, registration form for Ironstone Concours d'Elegance, dedicated leader nomination form and more! For current 4-H members and leaders don't forget to re-enroll by September 15 or no later than October 1 by 5p. New members need to enroll by November 1 by 5p. Here is the August 4-H Spirit filled with fair news, information on re-enrollment, 4-H Thrive training, and more. Attached is the July 4-H Spirit with information on upcoming county fun days, fair news, nominations for New & Most Dedicated leaders and more! Here is the current issue of the 4-H Spirit. Issue includes information on the Mariposa County Fair, Mariposa County 4-H Council Scholarship winner, and more. The May 4-H Spirit is full of information such as Camp Tweety registration deadline, Catheys Valley 4-H Club's fundraiser, VFW Memorial Day Parade, fair news, and more. Here is the April 4-H Spirit which includes information on MS Bike-a-Thon, Camp Tweety, Presentation/Favorite Foods Day Results, 2012-13 Leadership Team information and more. In the March issue is information about 4-H scholarships, Leaders' dinner and training, youth horse show, Kid's Night and more. Reminder that Presentation/Favorite Foods day entries are due March 1 by 5p. Event will be held at Grace Church. Enjoy this new issue of the 4-H Spirit. Please read for there is lots of information on upcoming 4-H events, State-wide 4-H news, Judging Day winners, and more. Here is the January 2012 '4-H Spirit' newsletter. Inside this issue is the new member club winner, Presentation/Favorite Foods information and entries, upcoming event calendar & more. 4-H Council policy changes that need to be reviewed, PDR Corner, 4-H Judging Day & Thrive training, current 4-H projects and more. Here is the November 4-H Spirit with news of LCORT, New Leadership Team Application information, Achievement Night winners, criteria for projects, and more. Enjoy the new look and information in the October issue of the 4-H spirit! Enjoy all the new information about Achievement Night, record books, and more! Here is the most current 4-H Spirit full of fair information, local 4-H news and more. December 2009 Read about the 4-H Council Spaghetti Dinner Fundraiser, project list, and club & project news.